Longtime gaming personality Adam Sessler is no longer at G4, the TV host's representative said today. 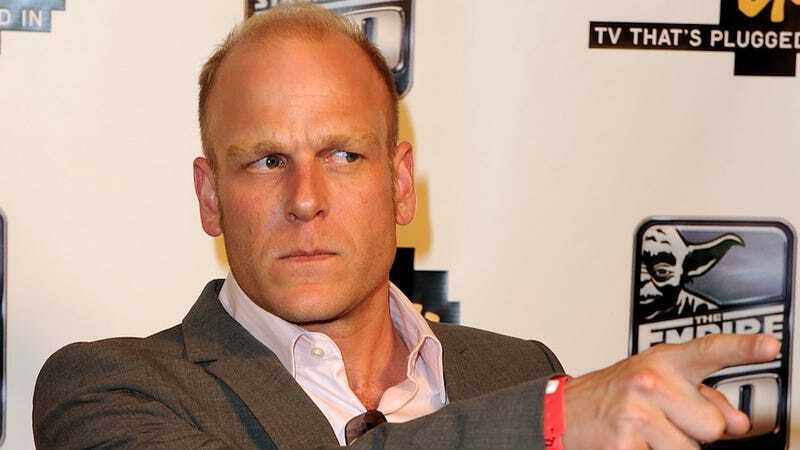 Television personality Adam Sessler and TV network G4 are parting ways, with Adam's last episode as host of G4's "X-Play" airing on the network today, Wednesday, April 25. Adam has been hosting the show since it first aired as ZDTV's "Gamespot TV" in July 1998 and he also served as Editor In Chief of games content at G4. His current projects include starring as himself in the Summer 2012 movie "noobz" and consulting with a film production company on theatrical feature adaptations of video games. Adam intends to stay in front of the camera and continue as a key voice within the games industry. He also sings and is available for weddings and bar mitzvahs. X-Play, which has been televised in various forms since 1998, is a popular G4 fixture that was most recently hosted by Sessler and fellow television personality Morgan Webb. We heard about this news last week via an anonymous source, but we were not able to confirm its validity. According to our sources, Sessler is leaving due to a contractual dispute, and the departure was not on amicable terms. We are following up with G4TV for more information. Update: Sessler took to Twitter this afternoon to address the news. "Thank you to everyone with your exceedingly kind wishes and thoughts," he wrote. "I think I'll finally take a nap..."
I can confirm that Adam Sessler is no longer with G4.